Resting on 420 acres of breathtaking Osage Beach scenery beside the shores of the Lake of the Ozarks, Tan-Tar-A Resort is everything you're looking for in an unforgettable Missouri vacation. Whether you're here in the spring, summer, fall, or winter, Tan-Tar-A Resort offers excellent accommodations, exciting activities, and endless entertainment that makes them the ideal year-round destination. As the summer fades away into the cooler months of the year, you can still plan a great getaway at Tan-Tar-A Resort and make the most of their fun-filled fall or winter activities. Many of their guests prefer visiting during this time of the year; less crowds, terrific weather, and lower rates make a fall or winter retreat at Tan-Tar-A an unbeatable experience. Bring your whole family and enjoy the comfort of an elegant room or suite at the resort that's ideally equipped with amenities such as flat-screen cable television and wireless internet. When you're ready to have some fun, you'll find plenty of options just outside your door. The Timber Falls Indoor Waterpark is a popular choice for indoor adventures during the colder months. Open on the weekends from September 8th through May 13th, it offers 600 feet of waterslides, an activity pool, oversized whirlpool, lazy river, and a three-story wilderness treehouse with water blasters, tunnels, and much more. If that's not enough to keep you entertained, not to worry. The onsite arcade offers exciting video games, classic favorite, and electronic simulators, while the bowling alley features eight lanes, four of which are set up for bumper bowling. 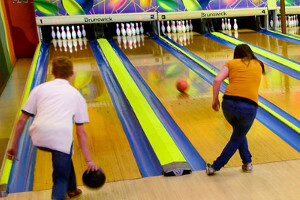 They also offer Cosmic Bowling for added fun! You can also visit Tan-Tar-A Resort over New Year's to celebrate together in their Grand Ballroom. Available for guests 21 years and older, this package offers live music by Spectrum Band and Retro Boogie Band, a dinner buffet, and prizes for the best 70s costume. 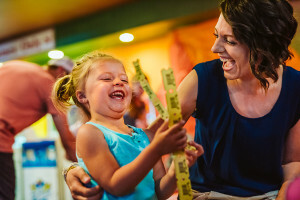 If you're here with the family, then book the Timber Falls Family Fun package, which offers Fin City Pizzeria carry-out deal, and passes for up to four people for the waterpark. No matter when you choose to stay at Tan-Tar-A Resort, you're guaranteed an experience that's above and beyond the rest. Charming accommodations and modern amenities make you feel at home, while plenty of indoor activities ensure you can have tons of fun even during the fall and winter months. Let Tan-Tar-A help you plan a Missouri vacation that you'll remember forever!